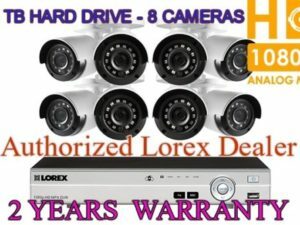 Secure your premises with this complete 1080p HD security monitoring system from Lorex. 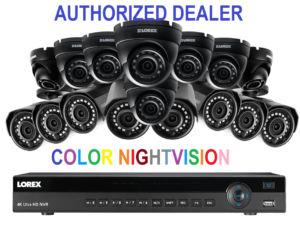 It features our first-class DV700 HD DVR paired with eight LEV2712B 1080p weatherproof dome security cameras, with excellent night vision. 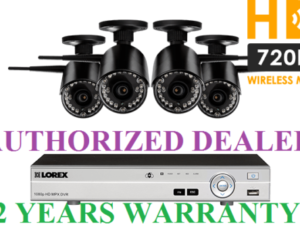 Add a heightened level of clarity and coverage to your home or business with this high definition professional-grade security bundle. Receive stunningly vivid high definition images with the 2mp image sensor within the LEV2712B HD security cameras. Don’t miss a moment with smooth on-screen movement thanks to the real-time 30 frames-per-second frame rate (in 720p mode). The wide angle 90° lens provides an extensive field of view from each security camera. Easily connect the MPX88D’s high definition DVR to an HDTV or HD monitor using the included HDMI cable to view your cameras live view and recorded footage. Standard siamese BNC cabling delivers both HD video and power transmission for each security camera. 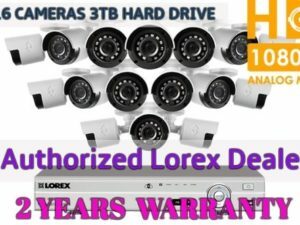 As an alternative to digital HD, analog HD cameras are ideal for securing large properties – extend the range of your security camera up to 800ft if necessary (see documentation for complete details). View live feeds (or recorded footage) of all your security cameras from wherever you are in the world by simply downloading the FLIR Cloud™ app for your mobile device or computer. Customizable features such as instant email alerts and push notifications for motion-triggered events will add a further layer of security to your property. The LBV2712B HD security camera contains cutting edge infrared (IR) LEDs that can see in the dark up to 130ft / 40m away in ambient lighting (up to 90ft / 28m away in total darkness). ClearNight imaging provides superior low light performance (and recording efficiency). SmartIR technology aids close up recognition of objects in low light conditions so you can be confident that your security cameras will never leave you in the dark. Versatile mounting options allow you to place your security cameras where you need them most – indoors or outdoors. IP66 rated, the LBV2712B HD security cameras can fend for themselves in all types of weather conditions. They will even continue to operate in extreme temperature as low as -30°C (-22°F). 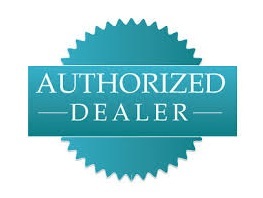 The cutting-edge DV700 HD DVR contains a 2TB security certified hard drive. This is not your ordinary HDD that you would find in a typical home computer. It will store weeks (or even months) of recorded footage and can handle simultaneous high resolution video streaming and recording. Customize the settings of your DVR to record at a lower resolution (or program scheduled recording times and motion triggered recordings) to save hard drive space. 1. 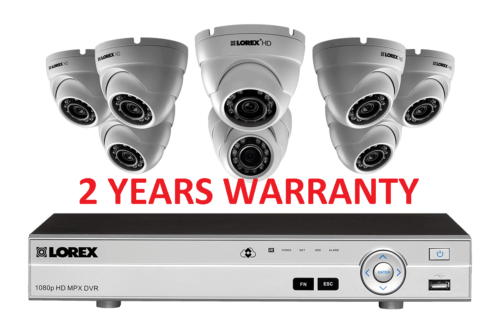 Compatible with Lorex DV700 and LHV2000 Series HD DVRs only. 4. A “4-in-1” Power Adapter that provides power to four cameras or individual power adapters may be provided, depending on product configuration.